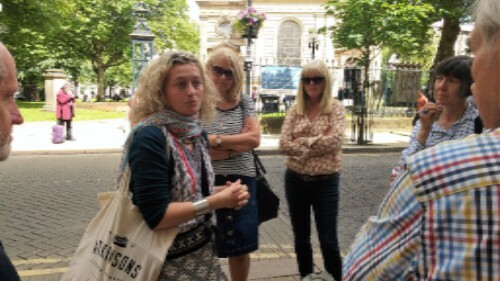 On Sunday 3rd July Rachel MacGregor led a fascinating city centre walk reminding us of some of Birmingham’s movers and shakers who had links with various buildings within the area from the Town Hall to the Cathedral. 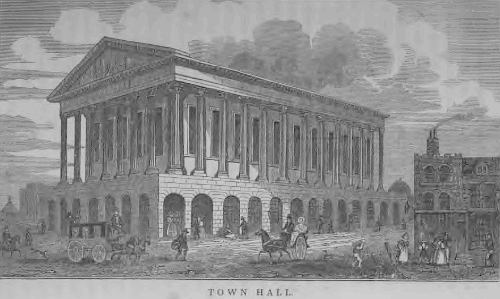 After a competition to design a new Town Hall, in 1828 the Street Commissioners appointed Joseph Hansom (after whom the Hansom Cab is also named) ‘The Socialist Architect’, so called because he encouraged his workforce to unionise. Design was based on the Temple of Castor & Pollux in the Roman Forum. In the 1960s Claudia Jones, founder of the West Indian Gazette in 1958, Britain’s first Black newspaper, addressed a meeting of the Indian Workers’ Association at the Town Hall. 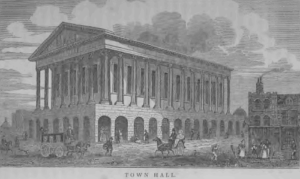 It became the performance space for the Triennial Music festivals, which were organised to raise funds for the General Hospital from 1784, after the audience had outgrown the previous venue at St Philip’s. It saw the first performance of Mendelssohn’s Elijah (1846) and the first performance of Elgar’s Dream of Gerontius (1900). On 4 June 1963 the Beatles performed there and the 1960s – 1970s also saw performances from the Rolling Stones, Bob Dylan, Led Zeppelin, Pink Floyd, Queen, and Black Sabbath. By Yeoville Thomason (1826-1901). Born in Edinburgh but his family was from Birmingham. 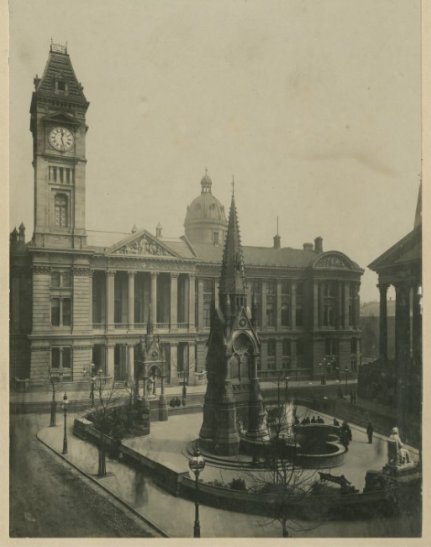 Council House and BM&AG extension, including interior. He was also architect of Singers Hill Synagogue, Lewis’s Department Store, Smethwick Library, and Highcroft Hospital. Bertha Ryland, of well known Birmingham family was arrested for slashing a painting of during the Suffragette campaigns. 8 June 1914 – background protest (Ulster) and previous form. After women over 30 gort the vote, Margery Corbett Ashby stood 1918 against Neville Chamberlain as a Liberal candidate, but Birmingham’s first woman MP was Edith Wills for Ladywood in 1945. 3. 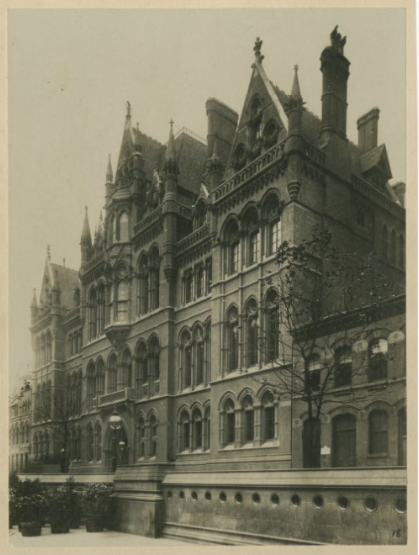 Mason Science College – demolished; on site of Central Library now also being demolished. Architect was Jethro Cossins (who also did the Gun Barrell Proof House, E.N.T . Hospital, Balsall Heath Library, Bloomsbury Library). Mason College was established 1875. It became part of the University of Birmingham in 1905. The building remained until 1960. Francis Aston (1877-1945). Born in Harborne. Nobel Prize Winner, discovering by means of his mass spectrograph, isotopes in a large number of non-radioactive elements, and for his enunciation of the’ whole number’ rule. There is a crater on the moon named after him. He started to work on fermentation chemistry at the school of brewing in Birmingham and was employed by W. Butler & Co. Brewery in 1900. This period of employment ended in 1903 when he returned to the University of Birmingham. With the decline of commercial lending libraries in the late 1950s, the company’s most profitable move was to realise that there would remain a strong market for romance novels, but that sales would depend on readers having easy access to reasonably priced books. As a result Mills & Boon romance became widely available from newsagents across the country. Also, beginning in 1958 they made an agreement with Harlequin in Canada to sell reprints of Mills & Boon titles, giving the firm access to the North American market and to make a major move into paperback publishing. Adrian John Brown (1852-1919), a pioneer in the study of enzyme kinetics. After working in Burton-on-Trent as a chemist in the brewing industry for 25 years he became a Professor of Brewing and Malting at Mason College, Birmingham in 1899. He wrote this in the garden of the physicist Gilbert Shakespear and his wife Ethel Shakespear (1871-1946). After graduating from Cambridge with a degree in natural sciences, in 1896 she became assistant to Charles Lapworth, geologist, at Mason College and began the preparation of her best-known work, British Graptolites, with her college friend Gertrude Elles. She was particularly responsible for the illustrations. This was to become a standard palaeontological reference work for many years. In 1906 she earned her DSc from the University of Birmingham, and shortly afterwards married Gilbert Arden Shakespear, a physics lecturer at the university whom she had met in Cambridge. They had only one child, a daughter, but she died in infancy. During the First World War she devoted herself to helping disabled servicemen. 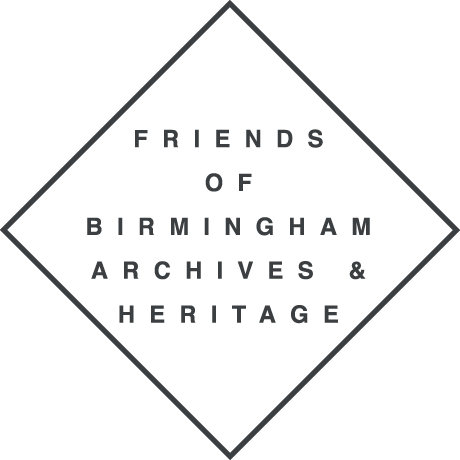 She was honorary secretary of the Birmingham War Pensions Committee and from 1917 to 1926 sat on the Special Grants Committee of the Ministry of Pensions. She was appointed a justice of the peace for Birmingham in 1922, specialising in cases involving children and working-class girls. She was a family visitor for foster parents and invited many poor women and girls to stay in her home at Caldwell Hall, Upton Warren, Worcestershire. She published a number of other works and was elected a Fellow of the Geological Society in 1919. In 1920 she received the Murchison Medal for her work on the monograph. Frederick Stratton (1881-1960). Born in Edgbaston and attended KEGS Five Ways and Mason College before going to Cambridge. Fought in 1WW. Chief Signals Officer. DSO in 1917 and Legion d’ Honneur, 1919. He was praised by his fellow officers for his efficiency and perpetual cheerfulness. After a few years as mathematical lecturer at Cambridge he became Assistant Director of the Solar Physics Observatory from 1913 to 1919, then Tutor at Caius College from 1919 to 1928 and finally Professor of Astrophysics and Director of the Solar Physics Observatory from 1928 to 1947. He also wrote the main historical account of the Cambridge Observatories. He was president of the Royal Astronomical Society in 1933-35. FRS in 1947. Took in refugee scientists in 1930s. ‘Colonel Tubby’. Constance Naden, 1858-1889. Born and brought up in Edgbaston. An accomplished young artist who had a painting exhibited at RBSA in Studied botany and French at BMI and physics, geology, chemistry, physiology, and zoology at Mason College, 1881-1887. Was interested in philosophy, languages and the sciences. Member of the Birmingham Natural History Society. Naden also edited the Mason College magazine. From the late 1870s onwards Naden developed a philosophy called Hylo-Idealism in collaboration with Robert Lewins, MD, who she first met in 1876 and corresponded with for the rest of her life. The key principle of this philosophy is that “Man is the maker of his own Cosmos, and all his perceptions – even those which seem to represent solid, extended and external objects – have a merely subjective existence, bounded by the limits moulded by the character and conditions of his sentient being. She was interested in Herbert Spencer’s concept of a unifying philosophy that sought to explain the universe through the principles of evolution. In his work The Social Organism (1860), Spencer compares society to a living organism and argues that, just as biological organisms evolve through natural selection, society evolves and increases in complexity through analogous processes. Naden agreed with this, since the theme of unity is central to Hylo-Idealism, which seeks to reconcile materialism and idealism, poetry and science, the self and other. Published two volumes of poetry from 1881 and numerous scientific essays. Travelled to Istanbul, Palestine, India and Egypt with money left to her by her grandmother. She also raised funding to allow Indian women to study medicine. Buried at Key Hill. 4. Edmund Street – Newhall Street- Bennett’s Hill. ENT Hospital – architect was Jethro Cossins. Midland bank, Waterloo Street (now Cosy Club) is by Yeoville Thomason and Charles Edge. DBE 1937. 3 children – Hester, Richard (d. 1915) and David (d. 1918). Hester Pinsent (1899-1966). Mental health worker. Married Edgar Douglas Adrian, electrophysiologist, in 1923. DBE in 1965. Temple Row west. Plaque to Samuel Lines (1778-1863), designer, painter and art teacher and one of the early members of the Birmingham School of landscape painting. Opposite is his gravestone in St Philip’s graveyard. Lines pioneered the teaching of drawing and painting in the town and was one of the founders of the life drawing academy that would eventually evolve into the RBSA and Birmingham School of Art. Bessy Barnett was a servant from Birmingham who worked for the Carlyles in London in 1830s. (Thea Holme the Carlyles at Home 1834-1866) After returning to Birmingham she was servant to Dr Peyton Blakiston, appointed to the General Hospital. In 1851 she was still working for the doctor, at St Leonard’s on Sea; by 1861 she was housekeeper; by 1871 she was married to the doctor and in 1881 she was living in Harley Street as an annuitant widow. She visited the Carlyles again in the 1870s. Bluecoat School, founded in 1722 by Rev William Higgs, rector of St Philip’s. Its purpose was to educate poor children from 9-14 years. Took about 32 boys and 20 girls. Children had to be nominated to attend. Very detailed records – clothing, food, teaching etc. Children would be found work/apprenticeship on leaving school. Moved to Harborne in 1930. Motto is ‘Grow in Grace’. Records at A&C, LoB: MS 1622. Marie Bethel Beauclerc (1845-1897). First female reporter on a British newspaper – the Birmingham Morning News. Taught herself shorthand from pitmn’s book and continued her studies by post at Bath Phonetic College. Appointed amaneuensis to George Dawson in 1863 and reported all his sermons etc.. Taught at Perry Barr, then BMI. 1888 appointed at Rugby School and at Blue Coat.. Trailblazer for female stenographers. In 1874 the first suburban institute in Birmingham was established at Perry Barr and Marie Beauclerc was appointed teacher of phonography where she stayed until 1888. She also taught phonography at the BMI in 1876. In 1888, she was appointed Teacher of Shorthand at Rugby School. This was the first time shorthand had been taught in an English public school and the first appointment of a female teacher in an English boys’ public school. Beauclerc also taught senior boys at the B’ham Blue Coat school. In 1887she established a Shorthand Writers Association and “officially introduced the art of typewriting to Birmingham”. Also in 1887, Beauclerc delivered a paper at the International Shorthand Congress and Phonographic Jubilee in London entitled Phonography in Birmingham. In England at this time, shorthand and typing were still male domains with few places available for female students and few employment opportunities for females. Beauclerc’s pioneering work in the fields of shorthand and typing, benefited the progress of Birmingham’s business and cultural community, while her example and the discussion she generated helped to pave the way for the explosion of female stenography in the 20th century. Buried at Key Hill, near George Dawson. Workers’ Memorial – broken column at gateway to St Philip’s opposite Union St. Commemorating 2 men killed in construction of Town Hall, John Heap and William Badgeron 26 January 1833. Flowers are left each year by Health & Safety reps of Trades Unions to commemorate those who have died in accidents at work. Blue plaque to Dr John Ash (1722-1798) on House of Fraser. Born in Coventry, after training he settled in Birmingham as a physician in 1754 and acquired a large and successful practice. Campaigned to establish the General Hospital and was first physician there. His portrait by Joshua Reynolds was acquired by BM&AG in 2012. Triennial Music festival started to raise funds for the Hospital. Medicine and music lead us neatly back to the Town Hall ! Many thanks to Rachel for a very interesting walk which illustrated well the wealth of ‘hidden history’ within a few streets.